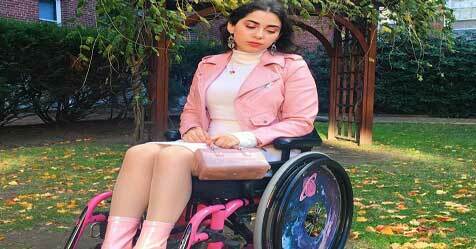 This fashion blogger's wheelchair has become a style statement! Fashion blogger Elsie Tellier is creating her own style, and this time, its with her wheelchair. Her customized wheelchair is something that no one can miss. Tellier, who posts regular updates on social networking sites about her fashion tips, put up a post recently saying she was a wheelchair user. Tellier, a Harvard University student, says she uses social media to speak about her experiences with fashion and disability and how both can be connected. She suffers from a condition called 'cystic fibrosis' that makes it difficult for her to walk. But she is not paralyzed. Hence, she uses the wheelchair, which is customized and is stylish in its own way. Earlier, the fashion industry did not give many options to disabled people to explore their style. Now things have changed. Clothing brands have come up with stylish and different clothes for disabled people to explore. Tellier recently tweeted that she always sits on her wheelchair and takes pictures because she used to feel ugly while on it. 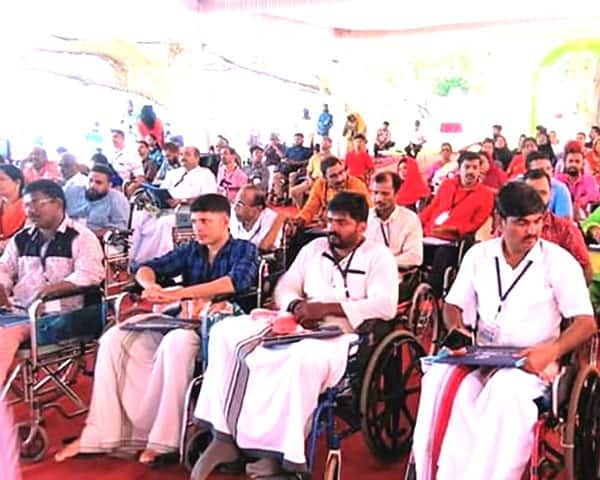 But now, she is trying to spread the message that even a wheelchair can be used as a fashion accessory. Tellier's wheelchair is bright pink and is customized for her. She has had both its wheels painted. One is a mix of roses and ribbon, while the other wheel has shades of purple and blue.